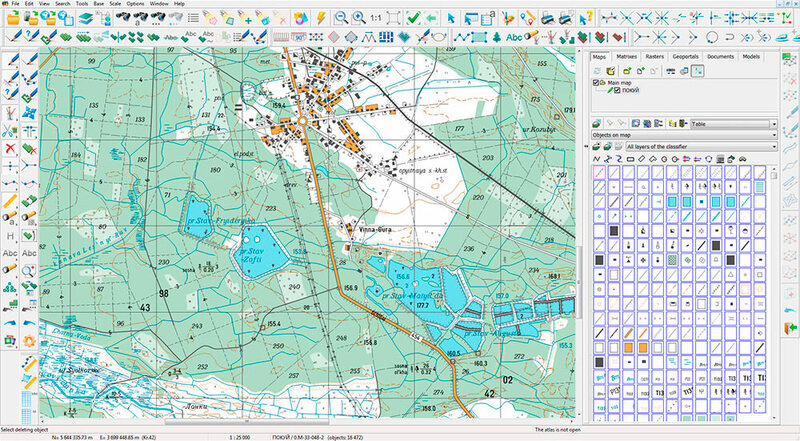 In the GIS "Panorama" the structure of the spatial data displayed in the digital map window is determined by the digital map classifier. The classifier of a digital map is a collection of descriptions of layers of a vector map, types of objects and their conventional signs, types of semantic characteristics and values accepted by them, presented in a digital form. Classifiers are created taking into account the subject and scale of the map. Classifier 50t05g.rsc is intended for creating digital topographic maps of scale 1: 50 000. By its content, the Classifier represents the systematised by a hierarchical method the list of code designations of elements and objects of terrain and plan, and also the signs characterising properties of these objects.